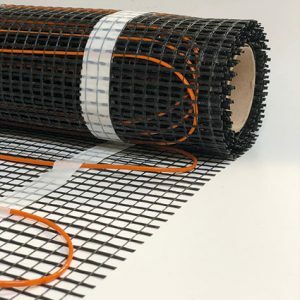 Foil-mat – underfloor heating for wood or carpet. Our under wood/ carpet system is the HQfoil mat. This has been specifically designed for use under laminate/manufactured hardwood flooring or carpeted floors. This system has a foil heat covering (exchanger) for even distribution. The 2.3mm thick heating mat beds into a foam underlay. Then the mat is covered by carpet or the wood flooring underlay. 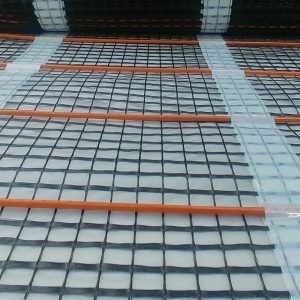 The flooring is then laid directly over the this and the foil heat-exchanger distributes the heat evenly across the floor. 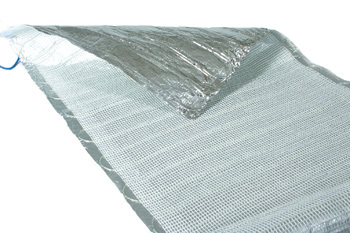 Underfloor heating HQ’s foil Foil mat should be installed with our special foam underlay that covers the floor. Contact us with details of your project and we will estimate your exact requirements. We have installed many systems under wooden floors. Customers love the warm, soft feel of the mats. With enough notice we can make mats bespoke for your area. The wattage of the foil mat is 140 watts per m2. Extra heat is needed under a wooden floor as wood insulates. Enjoy your heated wooden floor. We recommend you don’t cover the floor with rugs or mats. The heat for electric underfloor heating needs to come through the wood. Always check with your floor covering supplier to make sure it’s suitable for use with underfloor heating. We have many happy clients who have installed our HQfoil mats. 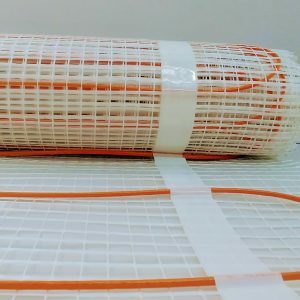 Underfloor heating for under wood or carpet is ideal for cold homes where more heat is required. 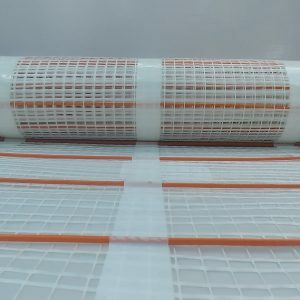 Contact us for more details on HQfoil underfloor heating or buy here.